No more internet rumors, Samsung Galaxy S6 Edge is here. Right at the start Samsung CEO pointed that out that no more rumors and Galaxy S6 is here. But surprisingly we got a little shock when he announced that there will be two variants, Galaxy S6 and Galaxy S6 Edge. However, before moving on to anything let’s take a look at the specs of the Galaxy S6 Edge. The phone sports 5.1-inch SuperAMOLED screen (1440x2560p resolution), with that Galaxy S6 Edge became the smartphone with the highest pixel density in the world. The phone is powered by Samsung’s very own 64-bit 2.1GHz octa-core Exynos 7 processor and Sammy claim s that it will make Galaxy S6 35% faster than its predecessors. Samsung has also moved from DDR3 RAM to DDR4 RAM and placed that it Galaxy S6 Edge which is claimed to boost RAM by 80%. so, we can see much faster app switching without any lag. In case of storage, both the Galaxy S6 and Galaxy S6 Edge will come with three options- 32GB, 64GB and 128GB. In case of camera we don’t see very high upgrades with 16MP lens having f1.9 aperture, however it comes with Optical Image Stabilization. But in case of front facing camera, the phone is a beast having 5MP f1.9 lens, which lets in 60% more light and thus producing much brighter and clearer photos. It also comes with a real-time HDR and mode that combines multiple images to create better images. In case of battery backup, the phone gets a huge thumbs up as Samsung has claimed that when charged for just 10 minutes, the battery will last for 4 hours, which is great. However, the battery will not be removable. Also, as expected Galaxy S6 has curved display but on both sides. So, the question. Should I go for it? Well, we have solved many mysteries right at the start. 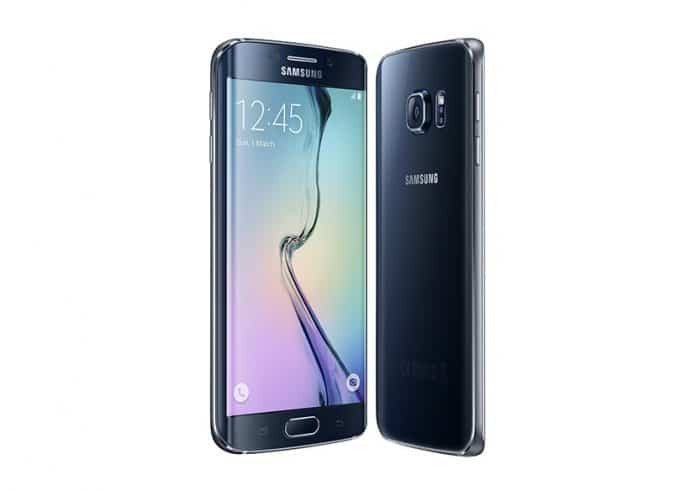 But few things are there for what you should buy Galaxy S6 Edge. 1. Design: Galaxy S6 Edge looks incredibly great than any of their previous phones, the built quality is great as Samsung has added a lot of metallic powers to the phone. With dual curved display the phone is totally different from any other in terms of looks. 2. Performance: DDR4 RAM which boost upto 80% and the 64-bit 2.1GHz octa-core Exynos 7 processor which is going to make the phone run 35% faster than its predecessors. 3. Storage: Though you can get 32GB and 64GB variants, if you really like to carries movies and everything with faster flash transfer option, grab the 128GB variant of Galaxy S6 Edge. 4. Battery: Nothing is more embarrassing than having a battery hungry smartphone which you need to plug-in most of the times, so with Galaxy S6 Edge even if you run out of power, just plug it in for 10 minutes and you’re good to go for 4 hours, also it takes half the time to get fully charged than iPhone 5. Camera and Display: The display is great and has more pixel density than any other phone in the world, also the camera is stunningly fast and it snaps a shot in less than a second. So, if you are a tech junkie and love to play with some different gadgets, or if you are a Sammy fanboy, just go for the Galaxy S6 Edge.